The two channel EbTech Hum Eliminator HE-2 use their isolation transform to beak loop antenna that causes ground hum and buzzing. 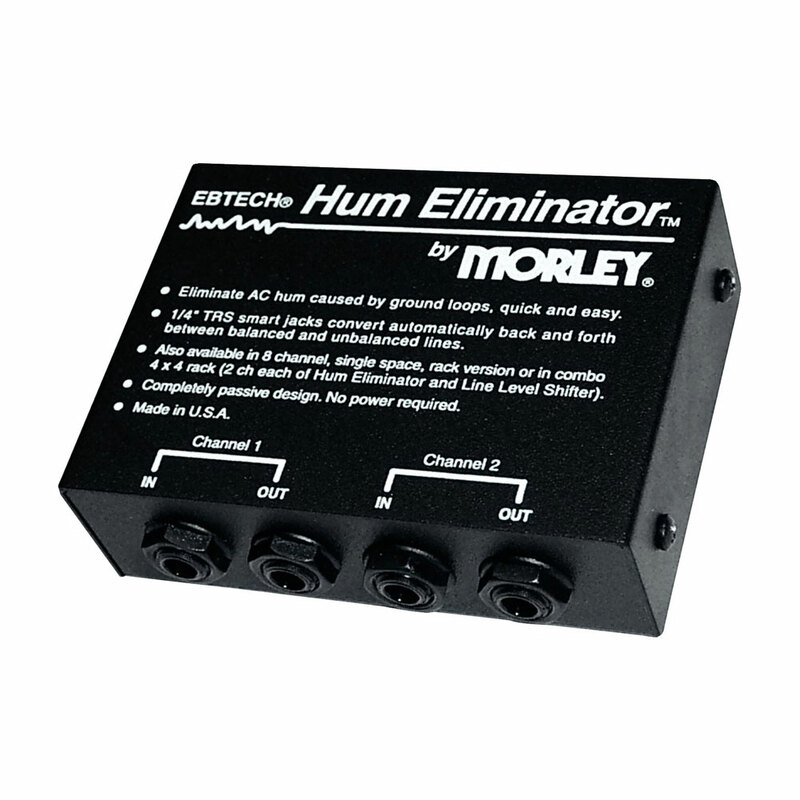 The Hum Eliminator converts back and forth between balanced and unbalanced connections and prevents the cables from acting as an antenna for noise. Use only on non-powered line level signals.